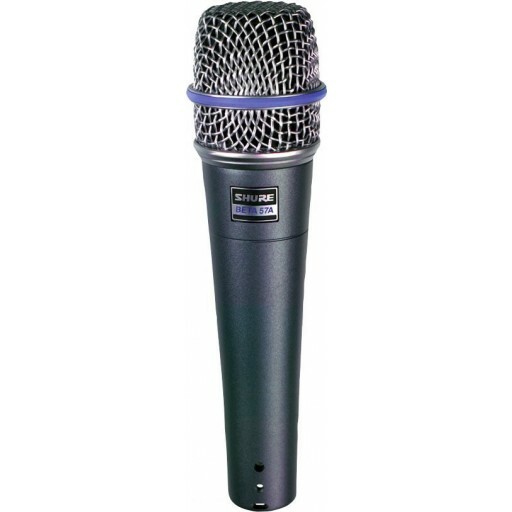 The Shure BETA 57A is a high output supercardioid dynamic microphone designed for professional sound reinforcement and project studio recording. It maintains a true supercardioid pattern throughout its frequency range. This ensures high gain before feedback, maximum isolation from other sound sources, and minimum off-axis tone coloration. A completely new grille design lets you take better advantage of proximity effect. The BETA 57A is an exceptionally versatile microphone. Typical applications include drums, guitar amplifiers, brass, woodwinds, and vocals.